Ryrie did not own junk. His printed books were in excellent condition. The selling price reflected this. The very first published Greek New Testament, Erasmus’s Novum Testamentum [sic; Instrumentum] (1516), sold for $24,000. The third edition (1522)—the first one to have the comma Johanneum in it—was a bargain at $5500. It’s pretty amazing. Read the rest at Dan’s report here. Sadly, I never got to see Ryrie’s collection when I was at Dallas. The whole collection sold for over 7.3 million dollars! The list from Sotheby’s is incredible. The whole collection has 197 items in it which means an average of about $37,000 per item. I hope they found good homes.
" 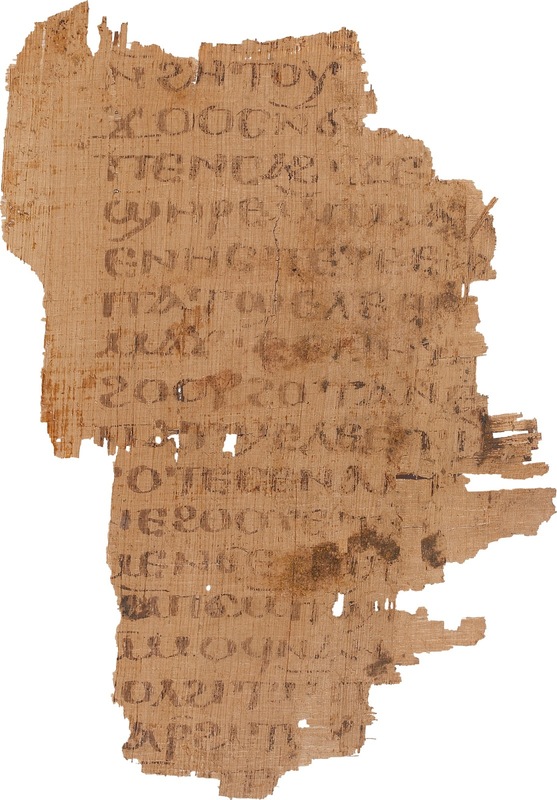 I especially would like to see them digitally preserved and the images posted on the Internet—in particular, the Greek NT manuscripts." Why didn't Dr. Wallace accomplish this during any of his many visits to Dr. Ryrie's collection? It might be that Dr. Ryrie never gave permission for his entire collection to be digitised. CSNTM would never digitise a manuscript without the consent of its custodian. Wallace says at his blog, " I bid on two small items, which quickly escalated out of my price range." So, was this done by proxy, or remotely, or was he there? Not sure how he bid. But he told me he wasn't there.